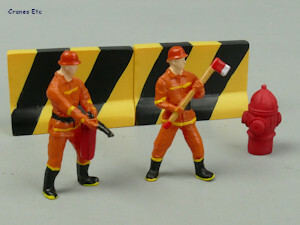 The man on the left is holding a fire extinguisher and mot something else very large. 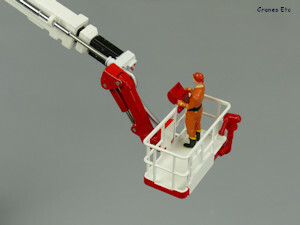 This is a set of firemen figures intended to go with the XCMG DG100 Aerial Platform Fire Truck model, also made by Yagao. 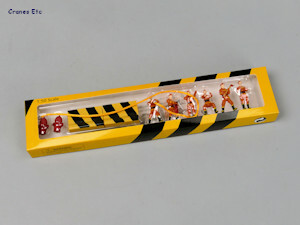 The figures are made of strong feeling resin and appear to be hand painted. 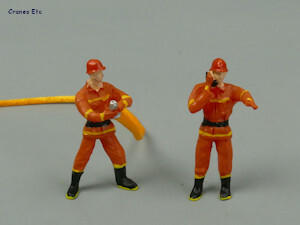 Between the six figures there is a good variety of poses, and the standing figures are reasonably stable when posed. 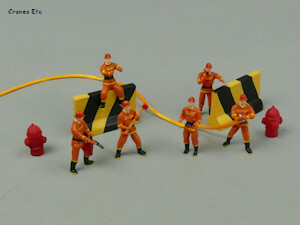 The figures are a little large, scaling up to almost 2m. 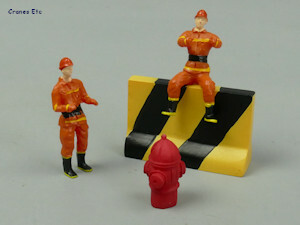 Also included are two barriers, and two fire hydrants. The quality is good and they are very good value. 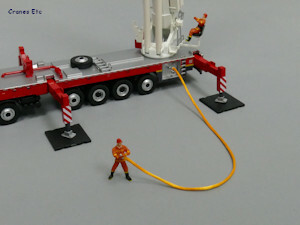 These are nice figures which go well with the XCMG DG100 fire truck model. Man on the left should pay attention to his own work.